Reading and math are two subjects that we are always open for more options. I think a good foundation in math and reading can set a child up for a strong future. We’re always looking for more while also consistently relying on old favorites like Reading Eggs. My kids love Reading Eggs. To the point that they begged me to let them continue using programs that they well educationally past. They loved the games and progress on Reading Eggs. And as much as I enjoy them learning on Reading Eggs online, I was excited to see that they had workbooks to match. A discount is offered at the bottom! Since my kids love Reading Eggs so much I knew these workbooks would have an advantage over others. My kids aren’t really ‘workbook kids’. But I would love to have materials we can carry with us to work on while waiting at the doctor or the mechanics, or anytime that we seem to have time to spare. Squeezing in extra learning is one way we fit a lot more into our day. With the Reading Eggs Workbooks, it’s been easier to get them excited about working with a pencil (or colored pencil). They’re familiar with the concepts and the look of the workbooks so they’re more willing to sit down and get some work done. So many homeschoolers and parents have the question ‘what if we miss/forget something?” and it causes a lot of worry. None of us want them to reach adulthood and realize we forgot something very important. While I’m sure most kids will be just fine with the little holes that will naturally occur, the thoroughness of these workbooks will help ease that worry. They are very thorough, covering so many topics for each year. If you’re worried you may have missed something, look through the workbook and refresh your memory on concepts covered at that level. I’m all about saving ink when printing but I’ve noticed a trend with my kids. They tend to gravitate towards bright and colorful. When it comes to school work, they’d rather work in colored pencil. When we work on the whiteboard they want to use all the colors. 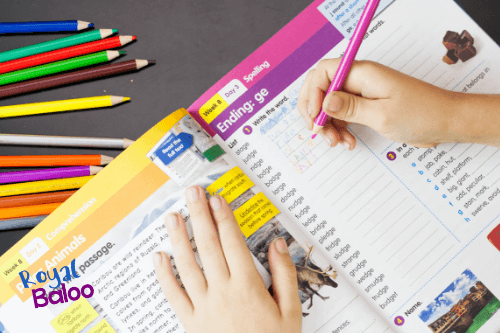 And when it comes to workbooks, they want the pages that are bright and colorful. So I love a workbook that entices them with colors! Reading Eggs is an online reading program that uses games, songs, and rewards with a phonics-based approach to reading. It’s a great program to motivate kids to learn to read. And it’s a great program to teach kids to love reading. The Reading Eggs workbooks are an extension of the same program. Get a free 4 week trial here! Between Reading Eggs Jr, Reading Eggs, and Reading Eggspress – this program can take your kids from the age of 2 through the age of 13. The workbooks start at the kindergarten level and go through 5th grade. Mathseeds is an online based math program that primarily uses games or fun online activities to teach math skills. It’s meant for kids aged 3 to 9. The workbooks cover kindergarten through 2nd grade. My kids all love Reading Eggs and beg to play it more often. But my qualifications for loving a game are a bit more stringent than theirs. Games have to pass the ‘mom test’ to qualify as educational time and Reading Eggs more than passes. It packs a lot of learning in a short amount of time. Each game is great and features more learning time than non-learning time. That’s not always easy to accomplish with a fun and educational game. Flows in an easy to understand manner. My kids have played educational games and used curriculum that has big jumps in their information. Reading Eggs has a flow that makes sense and allows them to work at their own pace. Progress Reports. I like to be involved and know what is going on with my kids. But I don’t want to sit next to them as they play educational games online. You can find the workbooks for both Reading and Math here. 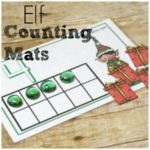 Get 4 Weeks Free of the Reading Eggs and Mathseeds program! Offer expires October 17, 2018.